The summer is winding down, and the new school year is only a few weeks away. I find my thoughts turning more to planning and organizing, even as we try to soak in the last weeks of summer. Yesterday, Annika and I visited our local homeschooling curriculum store, Homeschool Potpourri. This place lacks glamor, but there are hidden treasures everywhere. I was able to pick up our math books for the year at a steep discount, and found some inexpensive horse books to feed my horse-loving girl. But that’s not the point of this blog. This store has a fantastic section of used science equipment and tools for sale on consignment. This is the section my children gravitate toward, as I’m browsing the math and history aisles. I never know what they will discover in the boxes and containers on the shelves. 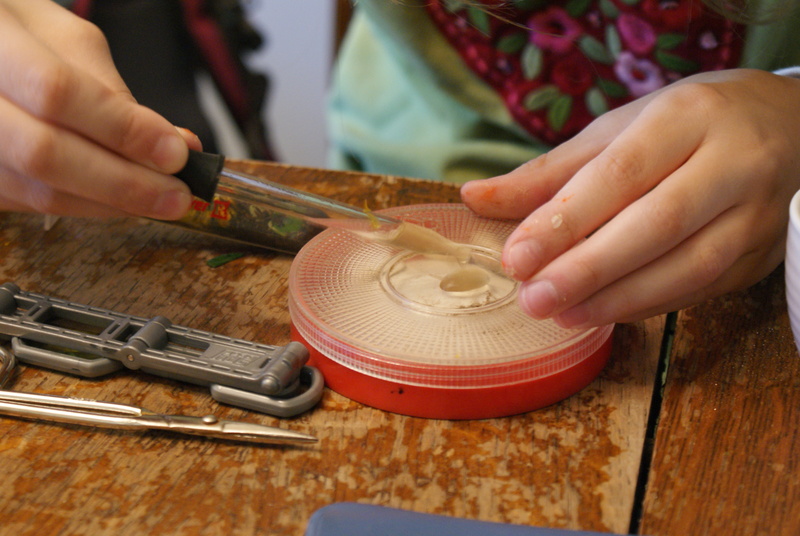 Annika found some neat little tools yesterday, and it’s been inspiring her nature discovery. After we got home from our errands, she got out her little backpack and packed it full of her sciencey tools. She went outside in search of something, but she needed some prompting for what to do with it. 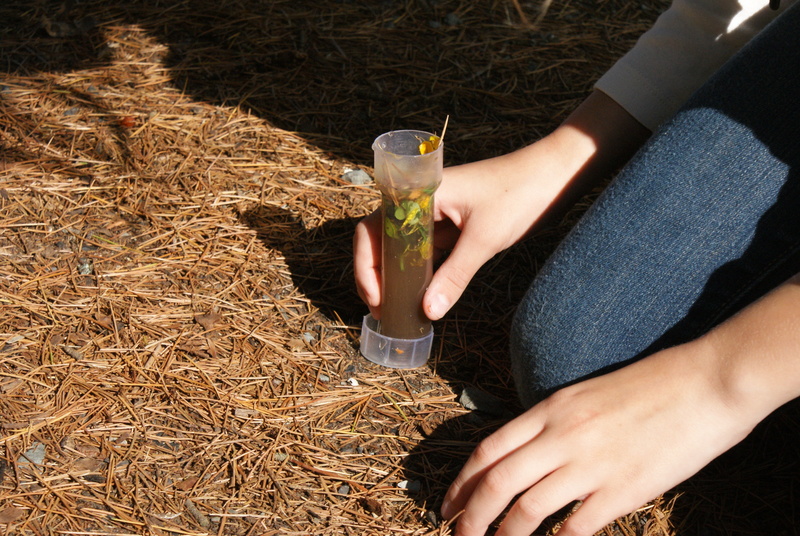 I suggested seeing if she could find some flowers still in bloom to dissect, or possibly some seeds that are forming. Those little germs of ideas were all it took, and she was out exploring. It’s a time of transition in the natural world, with most flowers faded from the hot sun, yet not a lot of seeds or color to entice. I wasn’t sure what she would come up with, but she did manage to find a flower or two to look at, and some leaves and dirt to explore. This morning she is back at it again, even before eating breakfast. Sometimes all it takes to re-excite a sense of wonder and exploration is some new toys or tools. It’s like when adults get a new journal, camera, or bicycling pants. That fresh perspective gives us a chance to start over and see the world through different eyes. 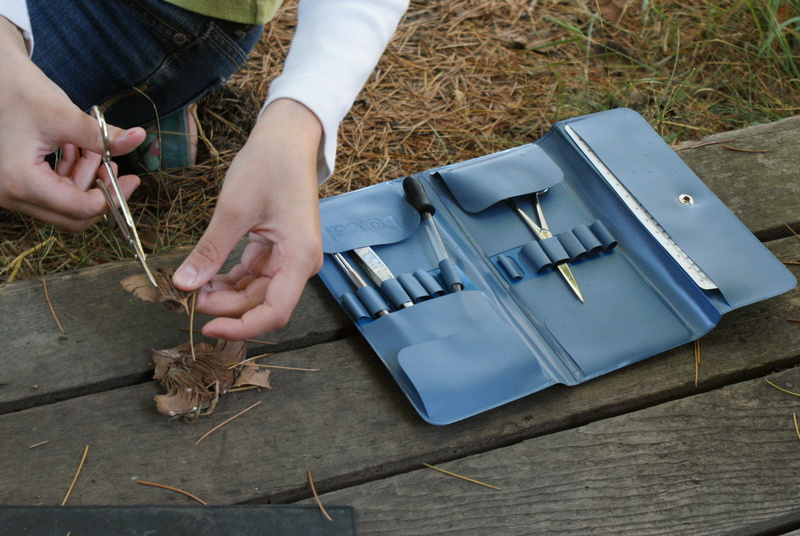 What are your favorite tools or toys for encouraging nature exploration with your children? I’d love to hear your ideas. If you need some inspiration for fun tools to encourage your youngster, check out my ParentMap article about kits for science-loving kids!